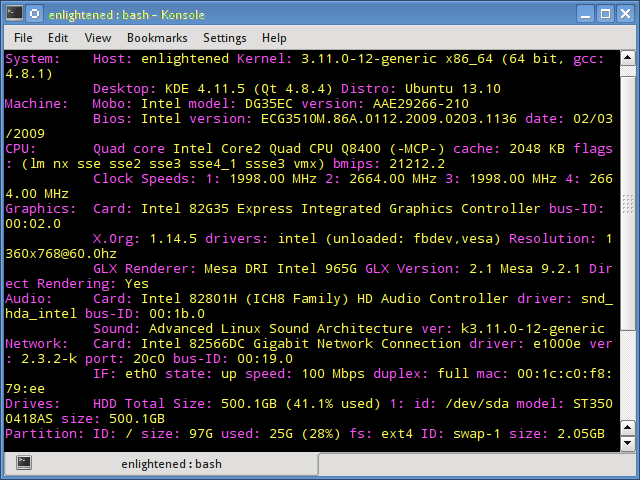 Like for every thing, there are plenty of commands to check information about the hardware of your linux system. Some commands report only specific hardware components like cpu or memory while the rest cover multiple hardware units. This post takes a quick look at some of the most commonly used commands to check information and configuration details about various hardware peripherals and devices. The list includes lscpu, hwinfo, lshw, dmidecode, lspci etc.